Westworld has set up an entire show based on the tagline, "These violent delights have violent ends." I think it's safe to say Season 2 is definitely going to bring some of those violent ends. Warning: Spoilers ahead. Do not continue reading unless you want all the dirt on Season 2 of Westworld as well as some theories about what's to come. Of course, Westworld is like a new-age soap opera in that just because someone is dead doesn't mean they're dead-dead. Especially with the Season 2 theme of immortality, "death" in Westworld is a very loose word. In Episode 2, we met James Delos, founder and owner of Delos Incorporated. As an old man, James wanted nothing more than to preserve his legacy. And he thought the hosts were the key to his immortality. It was a pretty solid bet to make and may lead us to the ultimate mission of the park: a consciousness that is independent of the body. This would mean minds could just move between bodies, allowing the person's consciousness to be immortal. All that being said, just because Westworld is introducing the idea of immortality doesn't mean ultimate and final deaths are no longer possible in the series. In fact, I would even go so far as to say Season 2 will be even darker than Season 1, especially since they introduced us to a flood of bodies in the first episode already. Check out our list to see the characters who are most likely to be dead-dead by the end of Season 2. Who would you add to our list? The fate of Bernard seems extremely unsteady so far in Season 2. He's playing this game of hiding that he's a host while also trying to escape and save the park. It's messy and tricky and very confusing, so there's a very good chance Bernard/Arnold's days are numbered. We know he'll make it at least to the end of the season. After that? Well, these violent delights have violent ends, don't they? This would maybe be the most tragic death of them all. Especially since the moment that lives in Maeve's nightmares is the image of trying to protect her daughter as The Man in Black kills them both. It would be the ultimate tragedy if Maeve were to finally, finally find her daughter only to lose her. That being said, I wouldn't put it past Westworld to gut us all like that for the sake of Maeve's self-discovery in Season 3. We already thought he was doomed in Season 1, but the show brought Ashley back onto the scene. I'm sorry, but Ashley just seems expendable. Maybe Ashely will discover Bernard is a robot, and Bernard will be forced to end him in order to survive. Maybe Ashley will go rogue and decide to help the hosts and Bernard only to meet his death at the hands of the humans fighting to end the park. I could easily see either one of these scenarios playing out in the show. There is something about this whole star-crossed lovers storyline between Maeve and Hector that just seems like it's destined to end badly, as most star-crossed lover stories do. I could totally see a moment later on in the season when Maeve must choose between Hector and her daughter, so Hector goes all gallant and sacrifices himself. Of course, there's always hope when it's a host who dies since, well, they can be rebuilt. Charlotte just seems like she's asking for someone to kill her. She's playing all these tricky games inside the park, and eventually, it's going to end badly for her. As one of the few confirmed humans in the show, Charlotte has a ton of targets on her back right now as she tries to escape Westworld. Bernard could kill her. Dolores could kill her. Maeve could kill her. Really, no one is an ally for her. Poor, righteous Teddy. I thought for sure he was doomed last season. Now, in Season 2, we've already seen his body floating in the water. But according to the B = T theory, Teddy might not be dead-dead. Basically, this theory suggests the hosts are going to start jumping between bodies. 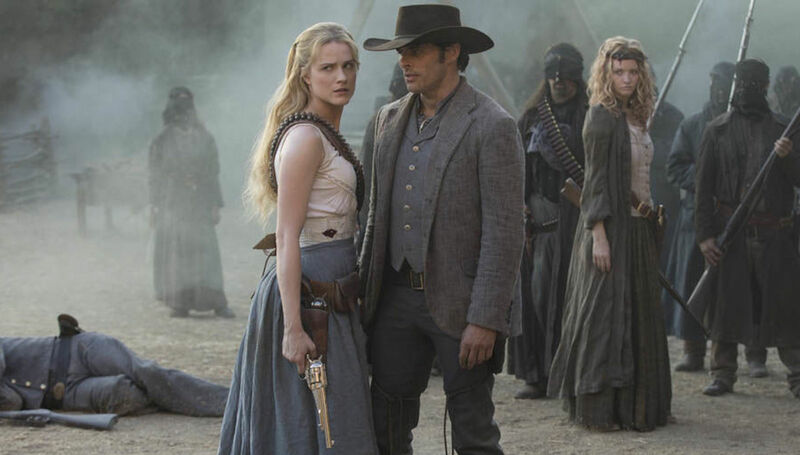 Still, and maybe I'm just going through a cynical phase when it comes to love, but Westworld just doesn't seem like the type of show that has a great, romantic happy ending. Plus, Dolores is finding her fire. She no longer fits into Teddy's world. Honestly, I could even see a moment when Dolores realizes he's become baggage and cuts him loose herself. The "game" of Season 2 is all for The Man in Black, as the child host version of Dr. Ford told us in the premiere. If this is his game in the park, then it's safe to assume this is also his ultimate character arc where he will reconcile himself as both the William of the past and The Man in Black he is today. Once that reconciliation has happened and he has made key decisions about his character and motives within the park, well, then his story is done, isn't it? Perhaps his ultimate mission will be to help Dolores obtain true free will, and once that happens, it will be time for him to retire from the park. Permanently. There are all kinds of theories cropping up all over the web that Season 2 of Westworld is going to be all about immortality, and we're already seeing evidence that host minds are going to be jumping bodies. We know there is a deeper meaning to the park aside from just indulgence. It is more about consciousness. So while Dr. Ford's human body is dead and gone, it could be that he finally managed to implant his consciousness inside a host and will therefore come back in the show — same brain, different form — or same form if he managed to create a host replica of himself. Either way, there is a good chance Dr. Ford isn't really gone-gone. However, if this theory proves to be true, there are going to be plenty of people in the park who aren't OK with the idea of Dr. Ford as the first immortal human, especially The Man in Black.